I love using this paper folding activity to help students discover the Triangle Midsegment Theorem. This year, I had my students fold the triangle and glue it into their notebooks. 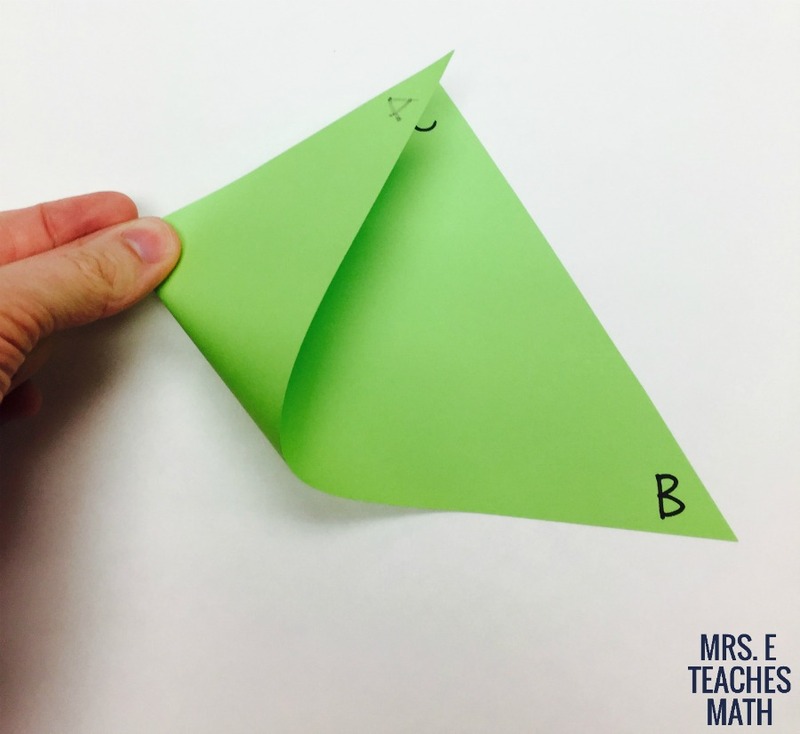 First, cut out a triangle (any type of triangle) and label the vertices with A, B, and C.
Fold A to C and pinch the midpoint. Don’t fold all the way through. 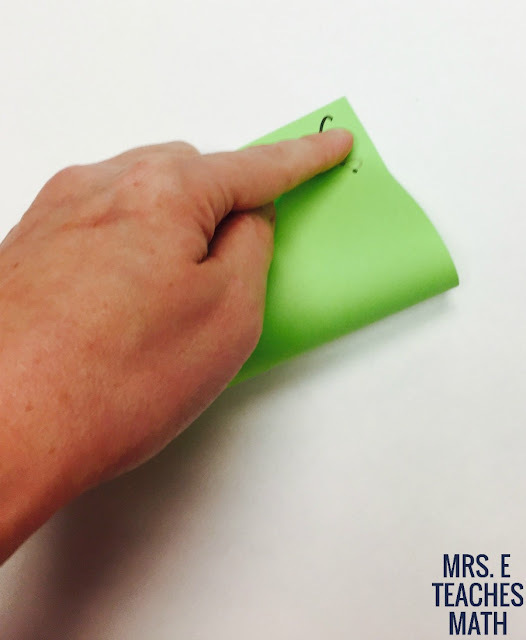 Label this midpoint L.
Fold B to C and pinch the midpoint again. Don’t fold it all the way through. 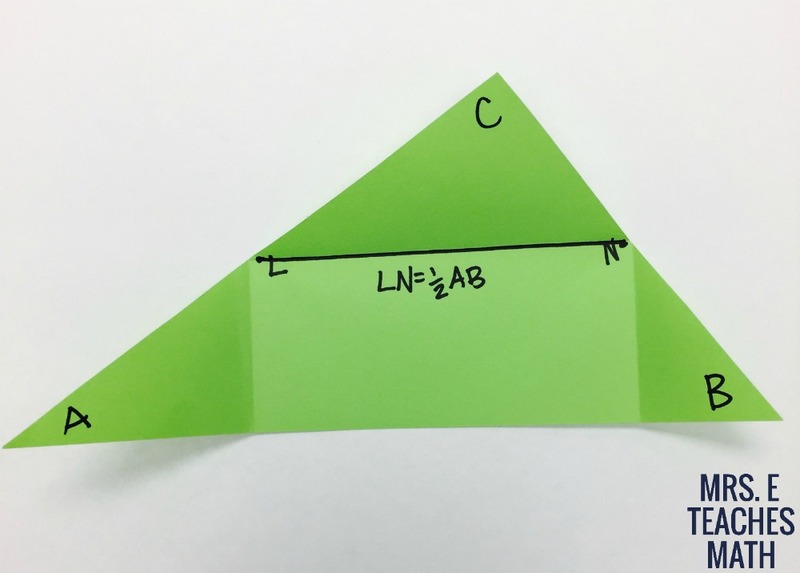 Label this midpoint N.
Fold C down to the opposite side, connecting the midpoints. This is the midsegment of the triangle. 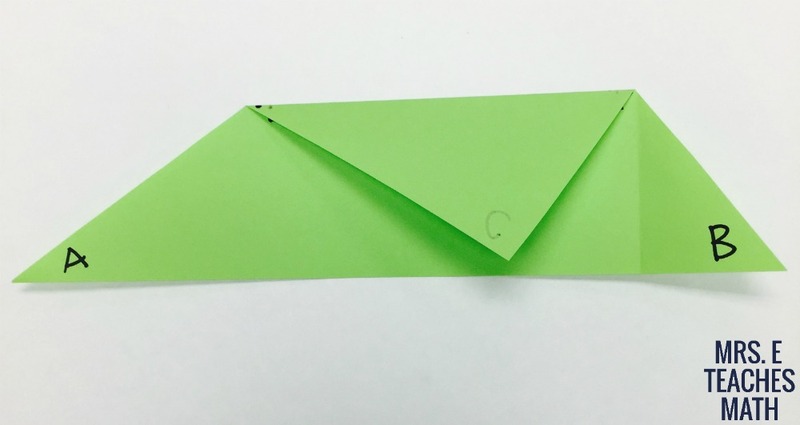 Draw the segment connecting L and N.
With C folded down, fold B to C and crease. 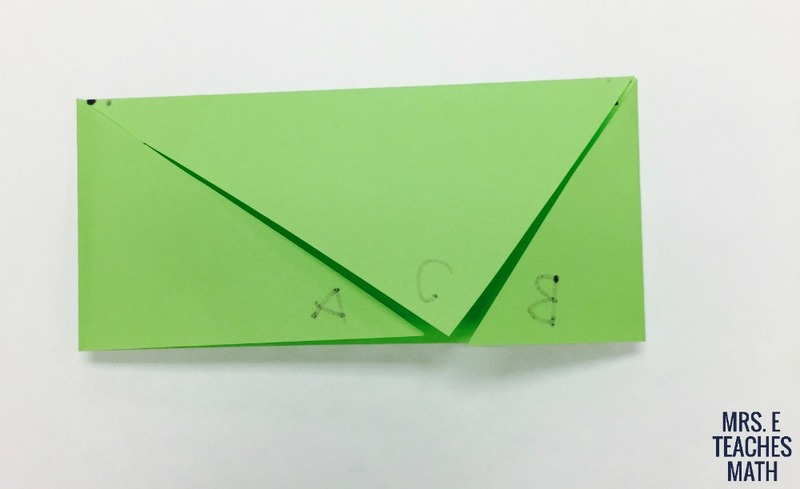 With B and C folded, fold A to C and crease. The triangle should be folded into a rectangle. 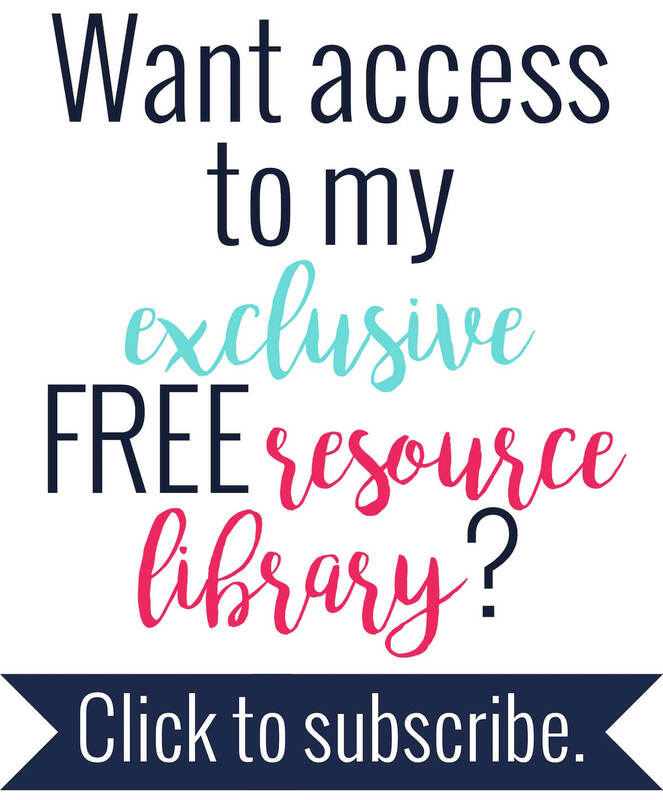 Ask students, “How does LN compare to AB”? LN is half of AB. This is part of the Triangle Midsegment Theorem. Then, ask students how else LN is related to AB. If students can’t tell that it is parallel, have them use a straightedge to verify visually that the lines are parallel. This activity takes less than five minutes, but helps my students visualize the theorem so much better! I love love this activity. My question is, I am using it to get my students to discover the theorem on their own. So after the pieces are folded into a rectangle, how do they know LN is half AB here? What shows them that? Nevermind! Just figured it out! Since the A and B vertex touch, that length is the same as LN.... right? This also shows the three angles of a triangle add to 180 degrees!